Hi guys. I'm starting to observe AL Herschel II list with 400 objects. I'm gonna add observed images from this list one by one as I proceed further. Camera: RT IMX224 with IR/UV cut filter added. Observed in Sharpcap 3.2. Saved as viewed. If specs above gonna change I'll mark that with every image posted below. 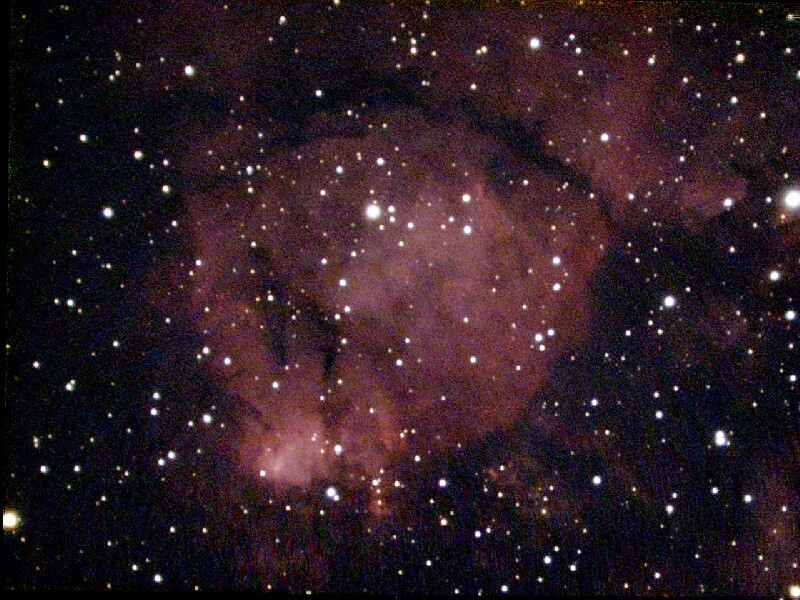 #2 NGC 7635 - Bubble Nebula in Cassiopeia. 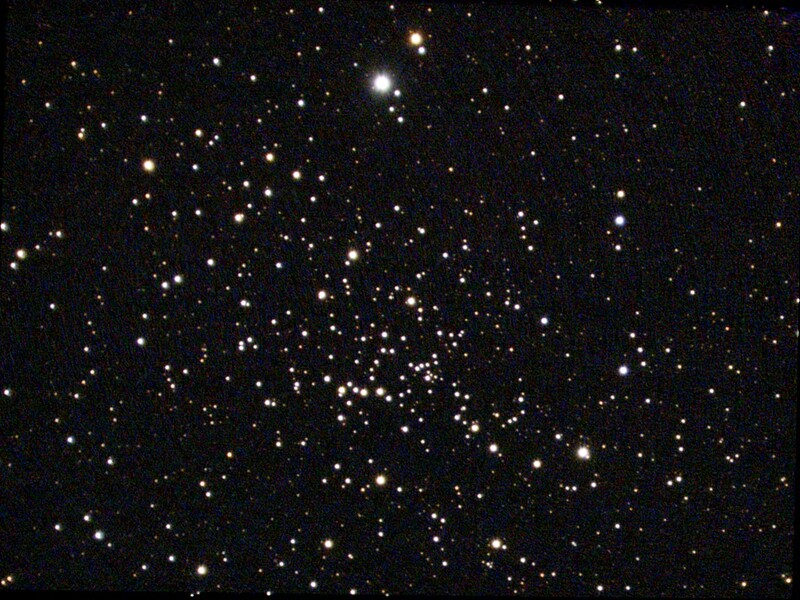 NGC 7762 is a Open Cluster appearing in the constellation Cepheus. It is 2544 light years from our solar system. 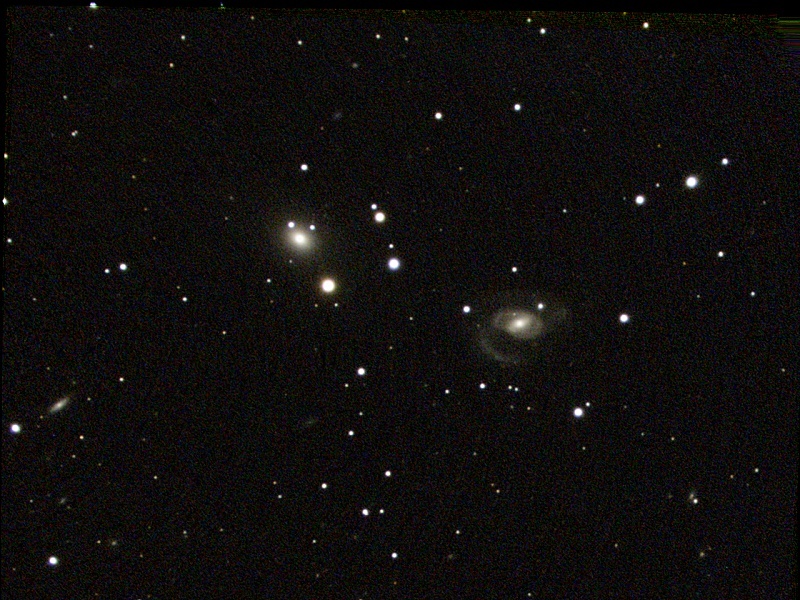 NGC 7762's apparent size is approximately 4.0 arcminutes, corresponding to a physical diameter of 3 light years. NGC 1184 is a 13th magnitude Spiral Galaxy appearing in the constellation Cepheus. It is 125 million light years from our solar system. NGC 1184 appears roughly 3.5 x 0.9 arcminutes in size, corresponding to a physical diameter of 125621 light years. It is a spiral galaxy of morphological type S0-a, and is receding at 2342 kilometers per second - about 0.8% of light speed. NGC 896 is a 10th magnitude Bright Nebula appearing in the constellation Cassiopeia. 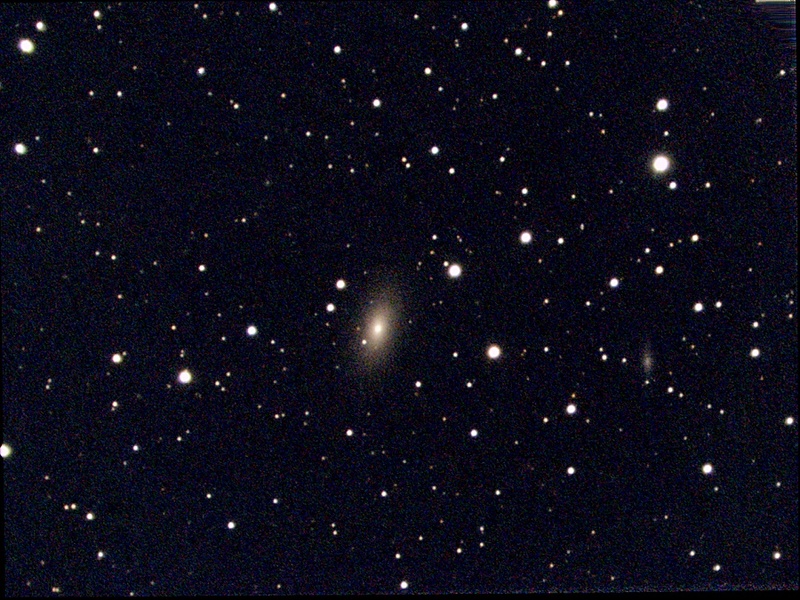 NGC 896 appears roughly 27.0 x 13.0 arcminutes in size. 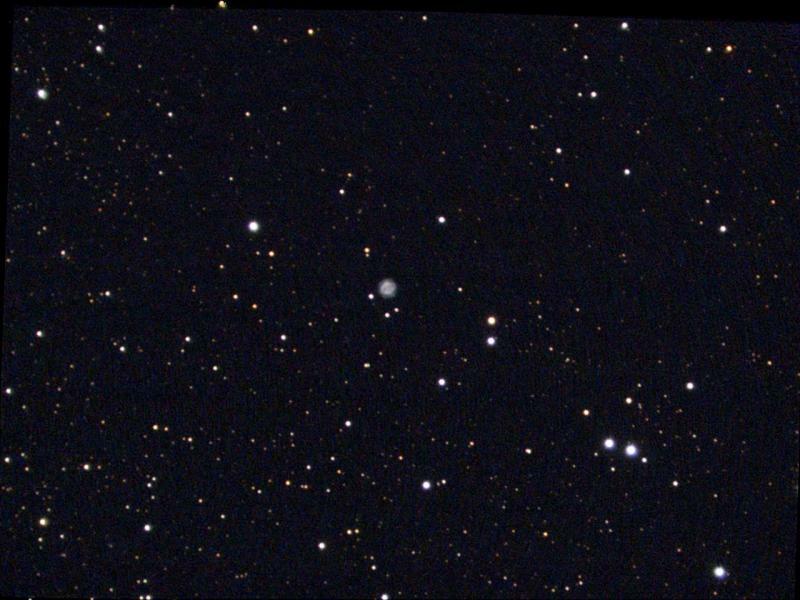 NGC 6804 is 12th magnitude planetary nebula with a diameter of 30 arc seconds and a 14th magnitude central star. NGC 6804 is a fairly bright planetary, with a shaped somewhat like a comet. I am about to start on a similar projects, so I am finding this very interesting. I will be using a C8 with both FR6.3 & FR3.3 with a ZWO224 on an Sirius AZ-EQ using SharpCap. My goal is to see as many of the 1600 of the Herschel's that I can see from my yard. You are in significantly darker skies than I am. What brand of filter are you using? Hi Jeff. I'm using cheap Svbony filter at moment. Quality of it seems okay. Looking forward for your results on that huge list. Especially with FR 3.3. #7. 100x8s. Almost full Moon. NGC 6772 is a 12th magnitude Planetary Nebula appearing in the constellation Aquila. It is 4333 light years from our solar system. NGC 6772 appears roughly 1.2 x 0.9 arcminutes in size, corresponding to a physical diameter of 1 light years. 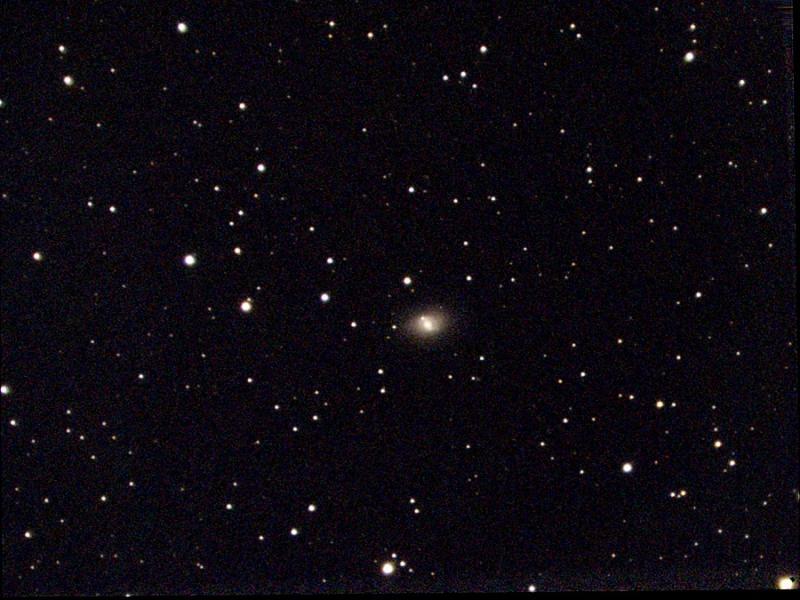 NGC 7457 is a 10th magnitude Elliptical Galaxy appearing in the constellation Pegasus. It is 46 million light years from our solar system. NGC 7457 appears roughly 4.0 x 2.3 arcminutes in size, corresponding to a physical diameter of 53876 light years. It is an elliptical galaxy of morphological type E-S0, and is receding at 813 kilometers per second - about 0.3% of light speed. NGC 7332 is a S0 peculiar galaxy and is paired with NGC 7339, which lies 5 arc minutes to the east. NGC 7332 has an elongated halo with a broad, prominent core and a bright, box-shaped nucleus. NGC 7177 is a Sb spiral galaxy with a bright nucleus. It appears as a diffuse and elongated halo. Its nearly stellar nucleus appears about as bright as the 13th magnitude star lying 1 arc minute to to the south. 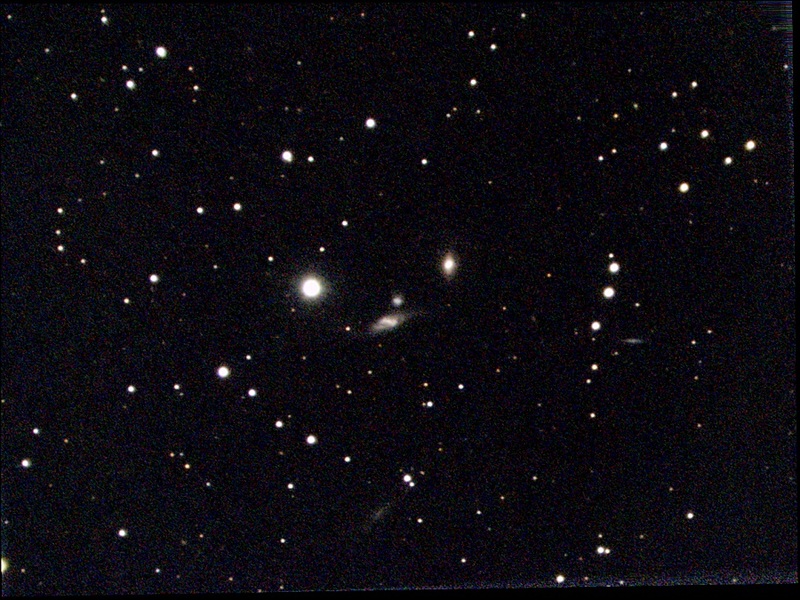 This trio of faint galaxies is a degree northwest of 54 Pegasi NGC 7465, a barred spiral, is the brightest and most conspicuous of the three. NGC 7464 is an E1 peculiar galaxy. It is the smallest and faintest member of the group. NGC 7463, a Sb spiral with a suspected bar, is at the northwest corner of the group. It is the largest of the three galaxies but rather faint. 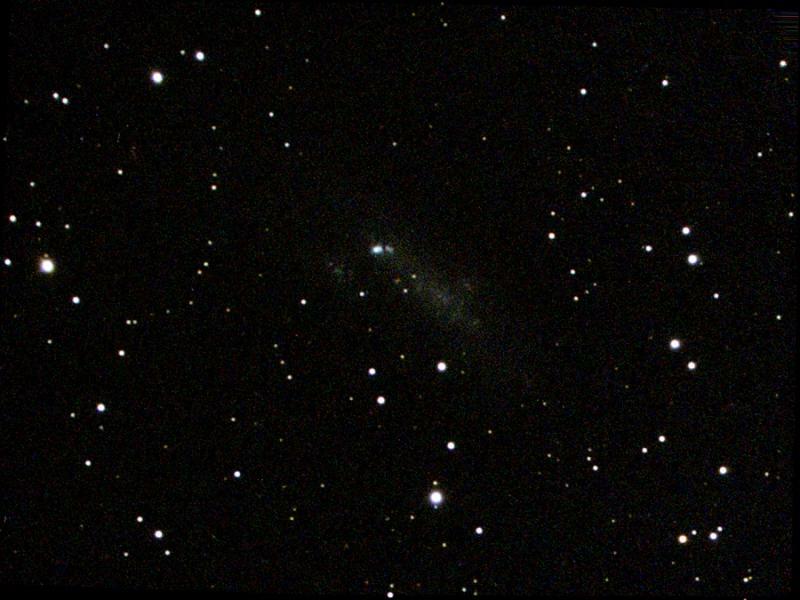 NGC 7814 (also known as UGC 8 or Caldwell 43) is an edge-on spiral galaxy in Pegasus. 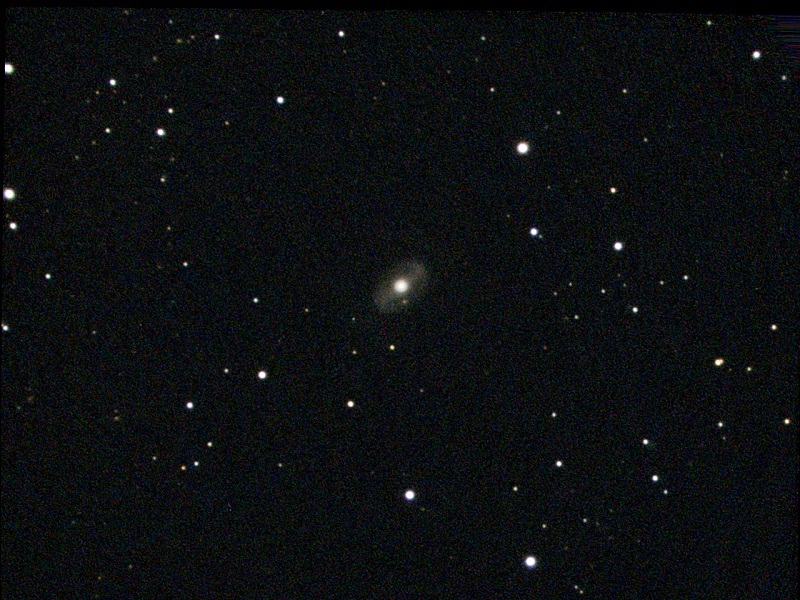 NGC 7814 is a good target for small telescopes. It is somewhat elongated and slightly brighter toward its center. 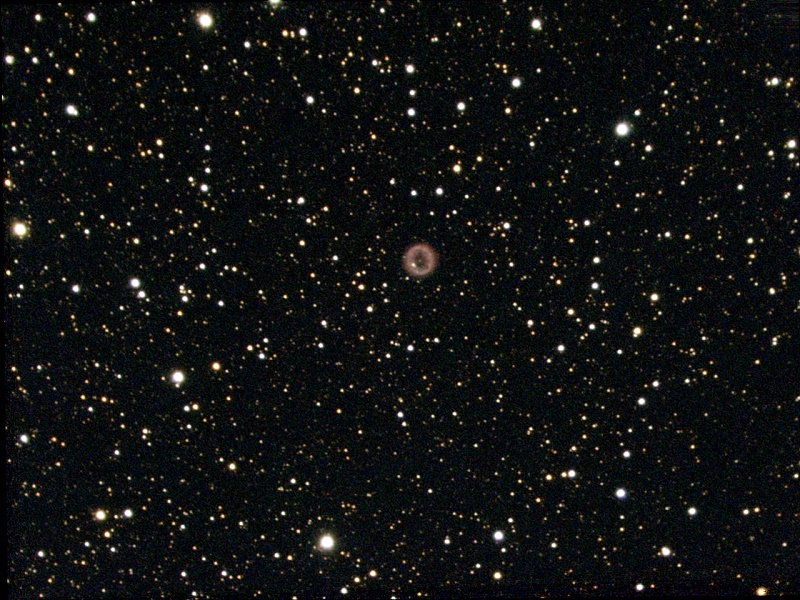 It is sometimes referred to as the a miniature version of Messier 104, or "the little sombrero". 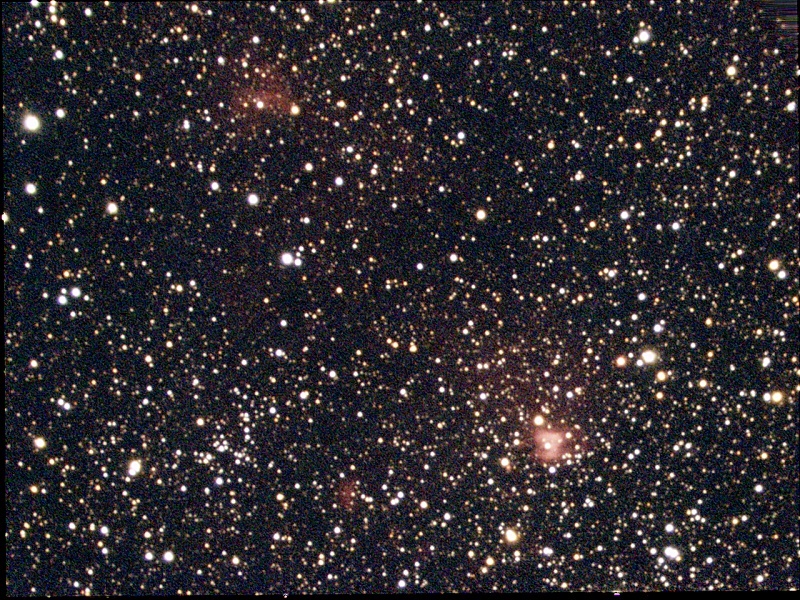 The starfield in the distance behind NGC 7814 is known for its density of faint, remote galaxies. At a distance of about 40 million light-years, the plane of the galaxy is somewhat warped at optical wavelengths. The slight deviation from truly edge-on makes the background dust lanes visible above the galactic halo. 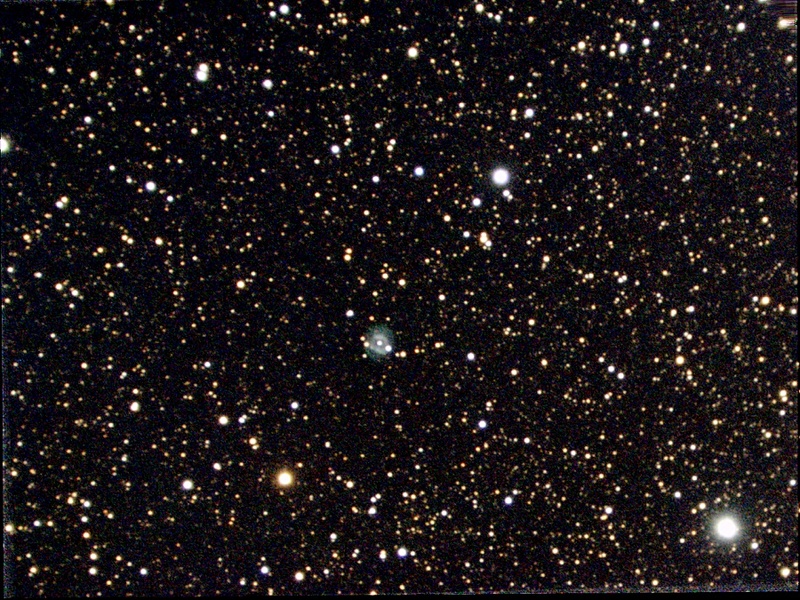 NGC 6894 is a 12th magnitude Planetary Nebula appearing in the constellation Cygnus. It is 5390 light years from our solar system. 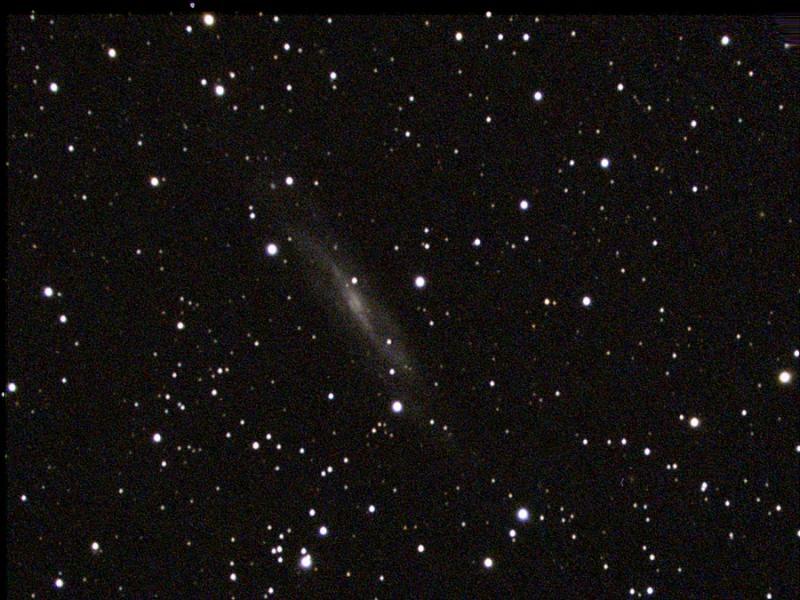 NGC 6894's apparent size is approximately 0.7 arcminutes, corresponding to a physical diameter of 1 light years. 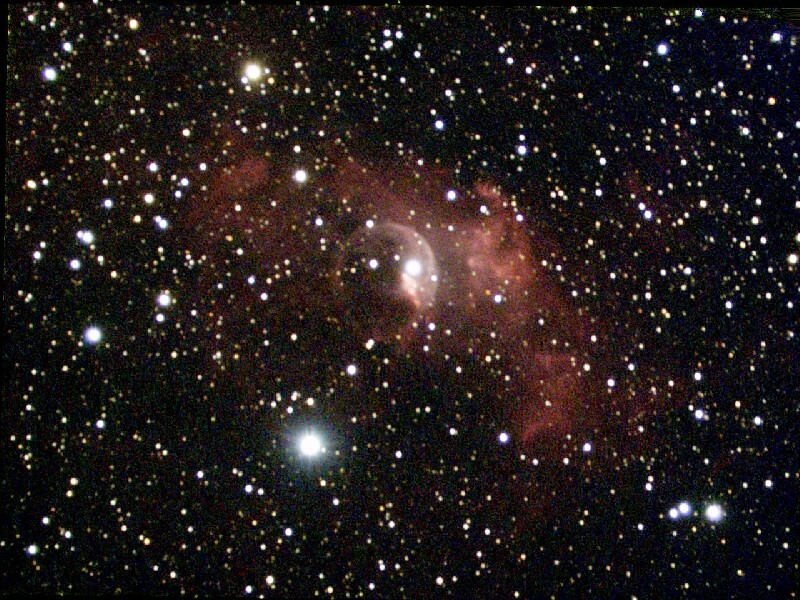 NGC 6857 is a 11th magnitude Bright Nebula appearing in the constellation Cygnus. 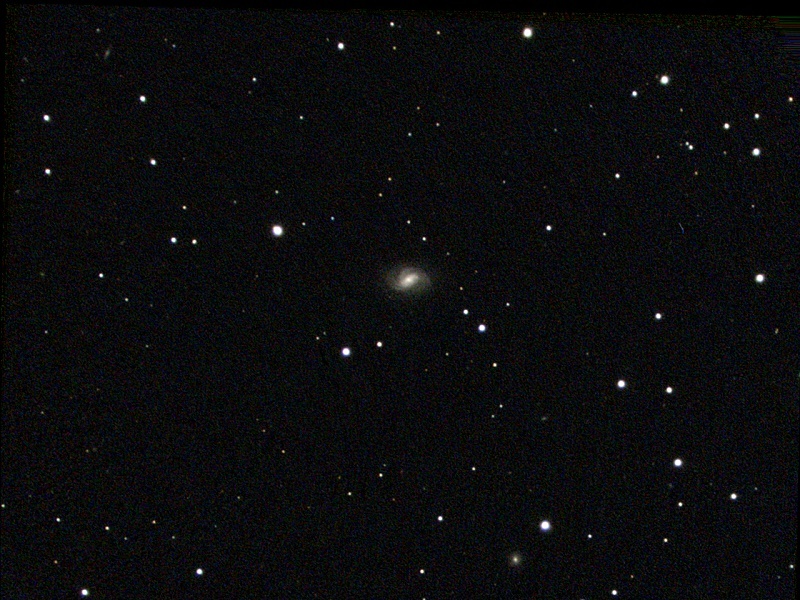 NGC 6857's apparent size is approximately 0.6 arcminutes. 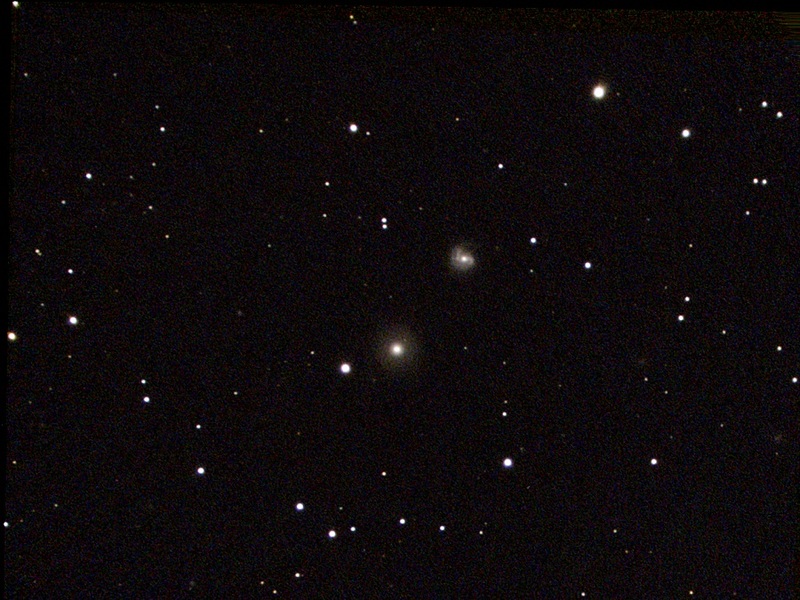 On the left: NGC 4291 is a 11th magnitude Elliptical Galaxy appearing in the constellation Draco. It is 105 million light years from our solar system. 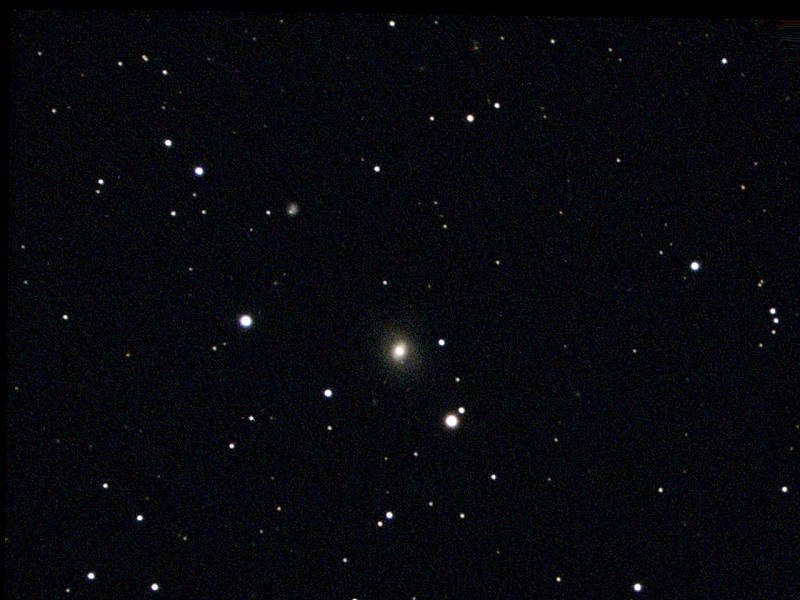 NGC 4291 appears roughly 1.9 x 1.6 arcminutes in size, corresponding to a physical diameter of 59592 light years. It is an elliptical galaxy of morphological type E, and is receding at 1701 kilometers per second - about 0.6% of light speed. 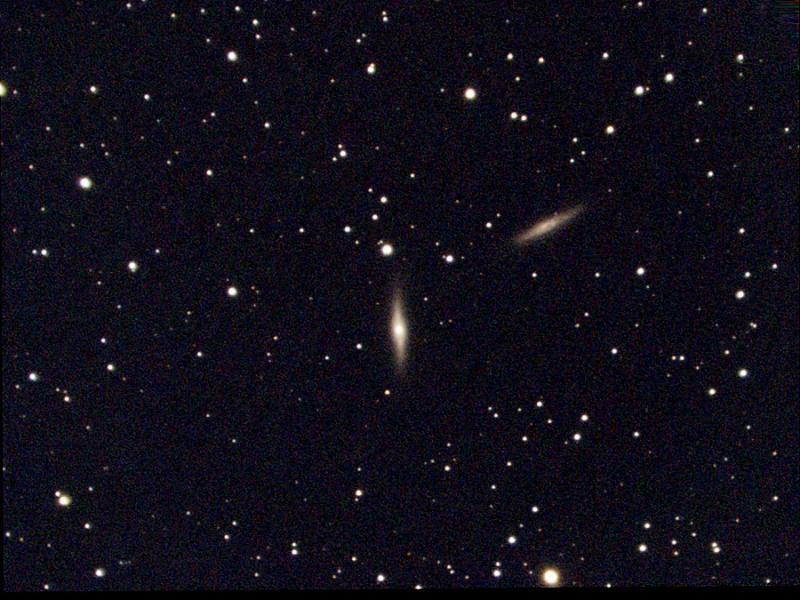 On the right: NGC 4319 is a 12th magnitude Spiral Galaxy appearing in the constellation Draco. It is 83 million light years from our solar system. NGC 4319 appears roughly 2.5 x 1.0 arcminutes in size, corresponding to a physical diameter of 58928 light years. It is a barred spiral galaxy of morphological type SBab, and is receding at 1443 kilometers per second - about 0.5% of light speed. Edited by S1mas, 02 September 2018 - 03:12 PM. NGC 4133 is a 13th magnitude Spiral Galaxy appearing in the constellation Draco. It is 77 million light years from our solar system. NGC 4133 appears roughly 1.7 x 1.1 arcminutes in size, corresponding to a physical diameter of 37239 light years. It is a spiral galaxy of morphological type SABb, and is receding at 1332 kilometers per second - about 0.4% of light speed. NGC 4236 is a barred spiral galaxy located in the constellation Draco, with an apparent magnitude of 9.7. 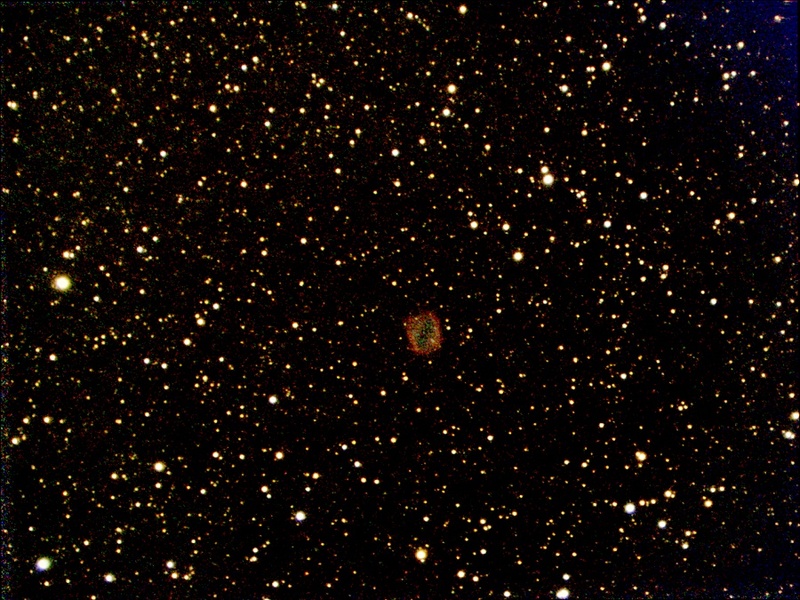 NGC 4236 is a seldom-observed object among amateur astronomers. 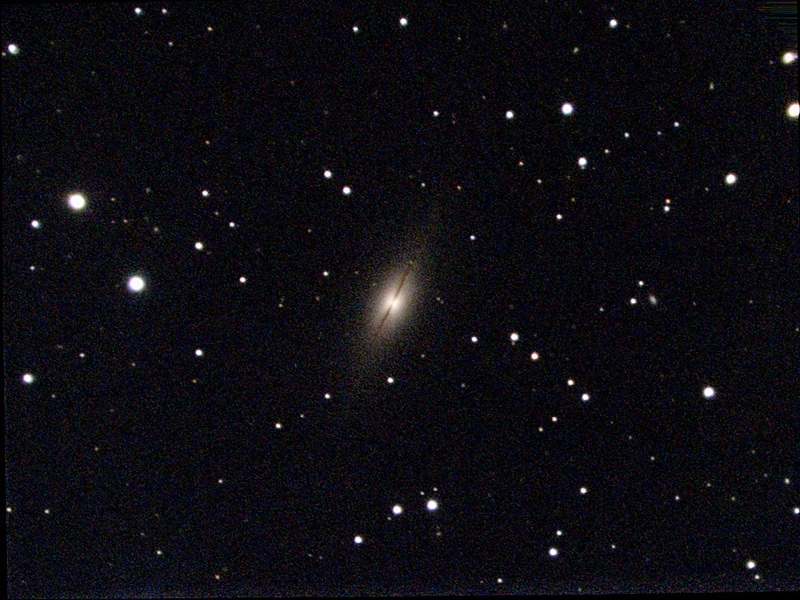 Having an apparent size of 18.6 arc minutes and a very low surface brightness, this galaxy is a challenging object. NGC 4236 is a member of the M81 Group, a group of galaxies located at a distance of approximately 11.7 million light years from Earth. The group also contains the well-known spiral galaxy M 81 and its companion galaxy M 82. According to recent studies, NGC 4236 may also be the largest member of its own small group, also including UGC 6456 and DDO 165. NGC 4250 is a 13th magnitude Spiral Galaxy appearing in the constellation Draco. It is 111 million light years from our solar system. 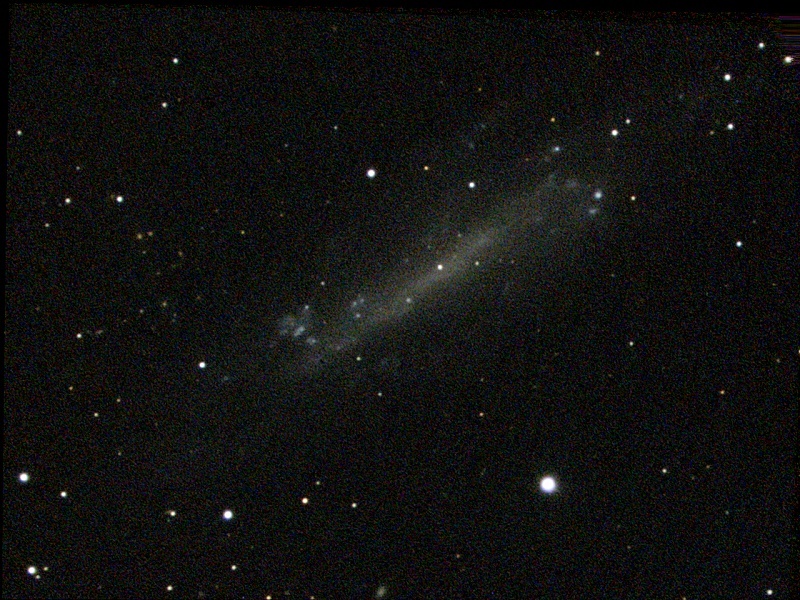 NGC 4250 appears roughly 1.9 x 0.9 arcminutes in size, corresponding to a physical diameter of 60286 light years. It is a spiral galaxy of morphological type S0-a, and is receding at 2039 kilometers per second - about 0.7% of light speed. NGC 3516 is a 11th magnitude Spiral Galaxy appearing in the constellation Ursa Major. It is 136 million light years from our solar system. NGC 3516 appears roughly 1.9 x 1.6 arcminutes in size, corresponding to a physical diameter of 75805 light years. It is a spiral galaxy of morphological type S0, and is receding at 2599 kilometers per second - about 0.9% of light speed. NGC 7640 is a 11th magnitude Spiral Galaxy appearing in the constellation Andromeda. It is 28 million light years from our solar system. 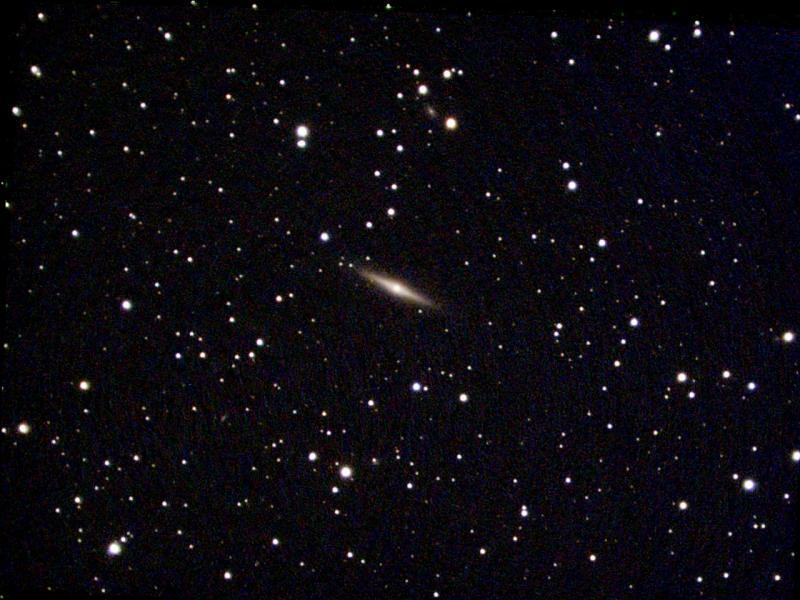 NGC 7640 appears roughly 8.1 x 1.7 arcminutes in size, corresponding to a physical diameter of 65678 light years. It is a spiral galaxy of morphological type Sc, and is receding at 372 kilometers per second - about 0.1% of light speed. NGC 2366 is a 11th magnitude Irregular Galaxy appearing in the constellation Camelopardalis. It is 11 million light years from our solar system. NGC 2366 appears roughly 4.4 x 1.4 arcminutes in size, corresponding to a physical diameter of 13593 light years. It is an irregular galaxy of morphological type IB, and it moving away from us at 99 kilometers per second.